The US Constitution clearly requires the Federal Government to Protect the States from Invasion, with at least 1 million Illegal Aliens coming across our southern border into the States each year it's clearly and invasion. In 1954 President Eisenhower stated if you have people within you borders and don't know who they are, it’s called an Invasion. Ike also Protected and Defended America as Our European Commander during WW II), (deporting plan in June of 1954), take a lesson from a Real Commander in Chief who saw the danger of an invasion by Non Citizens into the US and ended it by repelling and deporting millions of illegals as did Truman & Hoover before him. United States National Security and Immigration are basically one in the same and must be dealt with by keeping those Facts in Mind. This can be accomplished by implementing some very basic changes, 1st by having the Opening session of Congress introduce an Enforcement First Bill* requiring the immediate enforcement of all our Immigration Laws and Securing all Our Borders. Begin by building Walls or Double Fences where terrain allows, and where they can’t be built install Technology, and the Border Patrol and Military guarding our Land Borders, just as the US Air Force and Navy guard our air space and coastlines from invasion. This new system will be co managed by Law Enforcement, National Guard , (The US Constitution prohibiting posting US Troops on the Border is a Myth), and the US Constitution clearly states the Opposite, Article 1 Section 4. States must protect themselves if Federal Government won’t Read: Article 1 Section 10 Clause 3, clearly states what Governors can do, none have as they climb their Political Party Ladders and won’t upset the apple cart of Politics as usual. States will have the authority to take over the systems if Federal Government for any reason ends or suspends the program. State and Local law enforcement agencies will arrest within their jurisdictions and turn over illegals to ICE Agents. Costs incurred by state and local authorities will be reimbursed by the Federal Government assuring cooperation. No Federal Aide will be given to any Sanctuary Localities. Step 1. Build a WALL where terrain allows with the Border Patrol monitoring the Points of Entry into the United States, Technology like that at Nevada’s Area 51 not breached in over 50 years, Drones, Earth Quake Tech for under ground movement. We have all the technology and skills needed to Protect the U.S. from any form of invasion and it's time we put it to work in the U.S. to protect Our Citizens and Freedoms. Article 1 Section 8 Clause 3, clearly lays out the authority, and none of the 3 Branches of Government has Constitutional Authority to change that simply by Executive order, decree or ruling, there's a process that must be followed. If we're truly a Nation of Laws, no more Executive Orders or Extending them such as DACA. National Security is part of any Worker or Visitor Visa program with all Nations. Public Law 414, established the law and the intent of Congress regarding the Immigration and Nationality Act also known as the McCarran / Walters Act (Both Parties voted for it and also over rode a veto by President Truman) passed June 27, 1952 revised the laws relating to immigration, naturalization, and nationality for the United States, which must be enforced. The Immigration of Aliens into the US remains in effect to this day, and must be enforced to keep any member of any group teaching the overthrow of the US Government, this Act it far better at protecting us than any Vetting system can ever be. Citizens of Countries that sponsor terrorism or espouse the overthrow of our form of government will undergo Extreme Vetting and will not be issued a Visa until the Vetting is 100% cleared the applicant. Among the many issues covered, one in particular found in Chapter 2 Section 212, the prohibition of entry to the US if the Alien belongs to an organization intent on overthrowing the Government of the United States by "Force, Violence, or other unconstitutional means." A congressional report shows without a mass immigration bill, the foreign-born population is expected to rise to 60 million within ten years, Reform the Naturalization process to a 5 year time frame for those who want to become citizens, and allow only their immediate family members (wife, husband and minor children only) to Immigrate under the New Merit Program. "The Gang of Eight McCain / Flake plan for Amnesty or Legal Status" can't be given to illegal entrants or those who overstayed a Visa, and never a Pathway to Citizenship". All Immigrants that decide for whatever reason they don't choose to become Naturalized Citizens will then be required to leave at the end of the 5 year period, and will have 90 days to leave and return to their home country. 2nd Choice, We the People Surrender and Give them the Pardon the Dreamer are Demanding in Our Streets or Amnesty like President Reagan. President Reagan's Amnesty hasn’t worked out for US Citizens, your choice will be made by those you support, if those in office believe we're to weak to take a Stand then they'll Surrender for US. Put a Freeze on H 1 and 2 Worker Visas, H-1B Visas presently replaces 65,000 American workers annually, H-1 B Congress was planning to increase by 10 = 650,000 yearly allowing outside contractors at lower wages, they use H-1 & 2 B Visa programs to obtain cheaper labor. A freeze on H-1 and 2 B Visas will only be lifted when Unemployment in a specific field is under a Provable 4% or less, otherwise scrap the entire flawed systems and start with a new one better designed for the future of America not the past. We must also end a program called (OPT) "All Optional Practical Training" program. This is supposed to be a jobs program for foreign students currently about 130,000 foreign students given temporary work permits from one to two years. The program is a scam, since no "training" is given to anyone, simply more foreign workers replacing American Students, new rule would add more than 500,000 foreign students totaling 700,000 result more difficulty for our children to gain employment, this program must be Permanently Ended. All Employers will be notified immediately to begin giving All Job Opportunities to American workers first, and terminating the employment of all Illegal Aliens whether overstayed Visas or Illegally entered the U.S., as US Citizens replace the Illegals. 30 to 180 days after the job opportunities will be opened to those with Valid Worker Visas who meet the New Merit System Standards, as replacements are found the Illegals presently employed will be dismissed and await deportation. The new method will end the complaint of disrupting businesses, if illegals self deport they may request a New Visa to return under the new Merit Immigration system, if we have to deport them no return allowed. We'll have No Exceptions to the New System, No Visas for Family / Chain Migration etc., and we'll only issue Visa's for workers when they meet the Qualifications and Unemployment in that field is 4% or less. There will be an E- Verify System put in place immediately with substantial fines with a minimum of $1,000 per employee for employers found in Violation of the Immigration and Worker Visa Programs, no Exceptions. Step 2. Restructuring our entire Immigration system into a Merit System with specific qualifications for all applicants beginning with: Financially Self Supporting, Health, Age, Education, Speak & Read English, these will be the Foundation of the system for each immigrant group applying no matter the category such as; Worker, Visitor or Student. There'll be specific qualifications and limits according to the category they fall under No Exceptions, No Family / Chain Migration Visas etc. such as a Student Visa will apply to a specific School, Degree sought, and proof of enrolling. The time allowed will be as follows, a student Visa will be issued for two semesters only and then may only must reapply if the student has passing grades in all classes no exceptions, and no Immigrant Students are allowed to compete with U.S. Citizens for summer employment. The New Merit Immigration system will put a Permanent End to All Chain, Lottery and Diversity Migration once and for all. All Visas will have strict penalties, if you fail to leave on time, when apprehended immediate deportation, fines and no Visa reissued for no less than 5 yrs. and can be permanent depending on any other violations. The present system hasn't been up to the task of tracking any of the previously mentioned categories, to prove that point. "We meaning our department of Immigration lost track of over 525,000 Visitors, who failed to report to leave and no one in ICE knows where they are, and 25% of them are from a Middle East Country". All applying for any Visas will be completely Vetted before entering the United States No Exceptions, America's National Security First. All applying for Visas will be required to post a Bond which guarantees their leaving the US as specified in issued Visa or forfeit bond when apprehended and will be deported losing and future Visa privileges permanently. Step 3. We must clarify what a Natural Born or Birth Right Citizens are: the original intent is shown in the 14th Amendment to the US Constitution. The Constitution isn't an international document meant to apply to non citizens but to citizens only. There are many who erroneously claim that the Fourteenth Amendment guarantees citizenship to anyone born on American soil, that isn't the law and never has been Law. 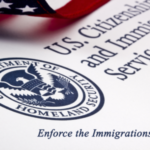 Current immigration law found at 8 U.S.C. s1401 (a)-specifies that a baby born on American soil to (1) a foreign ambassador, (2) head of state, or (3) foreign military prisoner is not an American Citizen. These 3 categories indicate they're in the country legally and still not allowed to be citizens by birth. We must bring Clarity to this issue settling it once and for all, both Anchor Babies and children born to visitors with Visas legally in the country, we as Americans can't allow those in government agencies or courts to set the laws as they have no Constitutional Authority to do so. In Closing Election Cycles are Critical for Our Nation and States as to whether we sink deeper into a Socialistic Nation or Restore Ourselves to a True Republic form of Government. The choice is clear, never support those voting against or compromising the US Constitution and Our Freedoms, I actually believe this is what most of us are hoping for and the Elite Power Brokers are afraid of: (Time to Drain All Political Swamps is at Hand) . . .